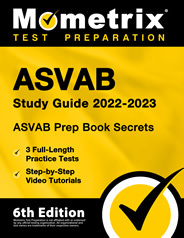 The ASVAB is a required exam for anyone who is completing the enlistment process into the United States’ Armed Forces. Its purpose is to test your knowledge and abilities in four basic domains and see if they stack up to the high standards of the military. 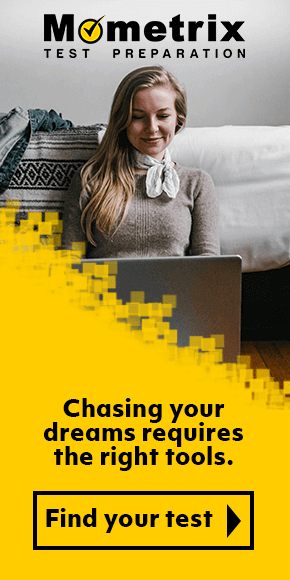 Your scores on the exam as a whole and on each of the subtests involved will also help your superiors decide which department and job will be appropriate for you as you continue in your military endeavors. Your strengths and your weaknesses will be noted accordingly. If you are interested in enlisting in America’s Armed Forces, chances are you have already met with a recruiter. Their job is to make sure that you qualify for enlistment and have what it takes to make a life in the military. They also are to complete the enlistment process with you and get you on your way to training. Upon meeting preliminary enlistment requirements, your recruiter will most likely schedule you to take the ASVAB and all of its subtests at a location near you. There is no fee to take the battery and the only qualifications are the ones you have already met by completing the enlistment process up to this point. Where Are The Tests Taken? There are around 65 Military Entrance Processing Stations, commonly referred to as MEPS, where the ASVAB is taken. There are scattered throughout the U.S. and Puerto Rico and are controlled by the Department of Defense. All tests taken at these sites are administered via a computer. However, it is possible and fairly common that you may not live near to one of these locations. In that case, you will be scheduled to take the ASVAB at a Military Entrance Test or MET satellite location. These typically are not set up to give the computerized version of the test and therefore it will be administered using paper and pencil. You must bring yourself to the testing center on time or early to be allowed to test that day. Arriving late will ensure that you will have to reschedule with your recruiter. A valid government issued identification is required to be on your person when you arrive. This will enable to enter the premises without difficulty. However, any other personal items, including any study material or a calculator, should be left at home or in your vehicle. The Mathematics Knowledge subtest falls into the math domain. Its purpose is to test your knowledge of high school mathematics principles. It is made up of 16 scored questions. 20 minutes is given to complete this subtest. The battery has 10 subtests and total of 145 scored questions. 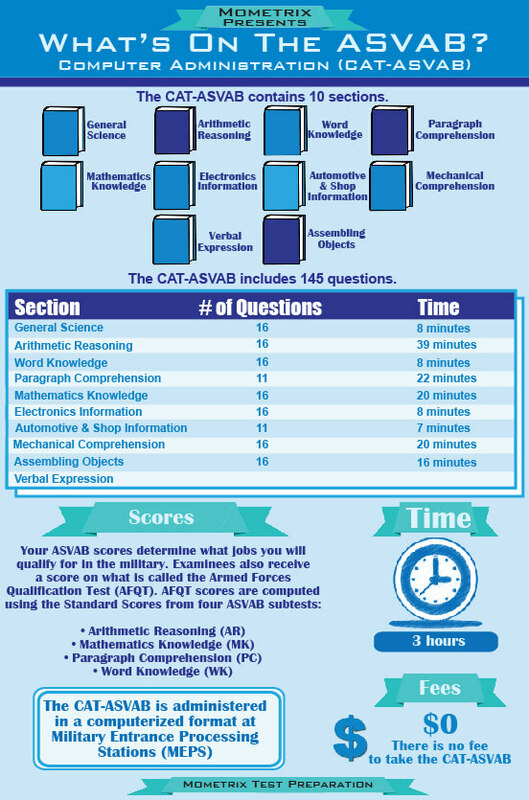 For the computer administered ASVAB or CAT you are given about 154 minutes to complete it. The CAT also allows you to work through the exam at your own pace. When you finish any subtest, you can then move on to the next whenever you are ready. However, the paper and pencil tests have several more questions in each section and therefore, timing allowed is adjusted. You must also wait for instructions before you can move from one subtest or section to the next. If you have taken the ASVAB using a computer, you will get your test results as soon as you finish the exam at the testing site. However, if you have taken it via the paper and pencil form, you will have to wait until your battery has been send to a MEPS and scored. Your recruiter will then be notified as to when your results will be available to you. We at Mometrix, know this is an important exam is for you and we want you to succeed in every way possible. 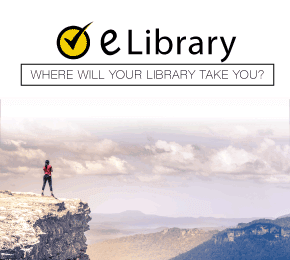 Therefore, we have put together a handy study guide and a set of flash cards that enable you to be well prepared for the battery of subtests to come. 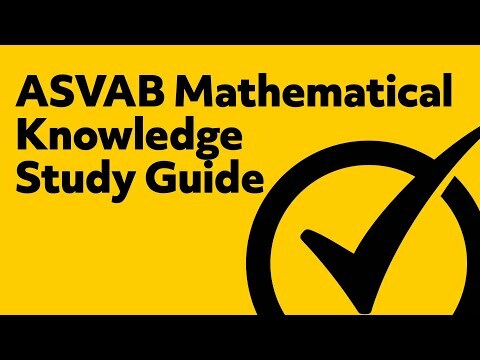 Both the ASVAB study guide and ASVAB flash cards are specifically made for each subtest of the ASVAB to give you a good example of what each of them will consist of and require of you. These even have sample questions that allow you to understand the exact wording and structuring of each subtest as it is given to you. 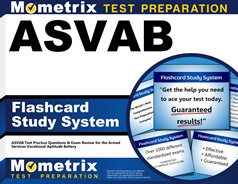 Make sure you prepared for the ASVAB in its entirety by your hands on both the ASVAB study guide and the ASVAB flash cards.